FOX renewed Brooklyn Nine-Nine for a fifth season in May 2017 and announced that the show would be moving to a new time period: Tuesdays at 9:30/8:30c. The fifth season premiered Tuesday, September 26 and the fall finale aired December 12, 2017. 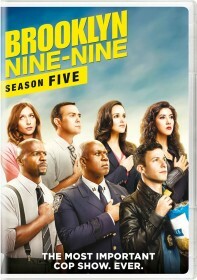 In March 2018, FOX announced Brooklyn Nine-Nine would continue its fifth season on Sunday nights at 8:30/7:30c from March 18.